I typically don't like shimmer nail colors, but while browsing at the drugstore this Labor Day Monday, this one caught my eye. 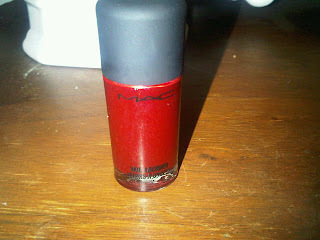 It reminded me of a recent trip to the Chanel boutique earlier this month. While at the boutique, I noticed all the chains on their handbags this Fall were in gunmetal hardware. 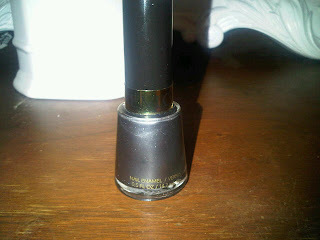 This nail color-Revlon Steel Her Heart #907- reminded me of the beautiful hardware of their Fall 2010 collection. 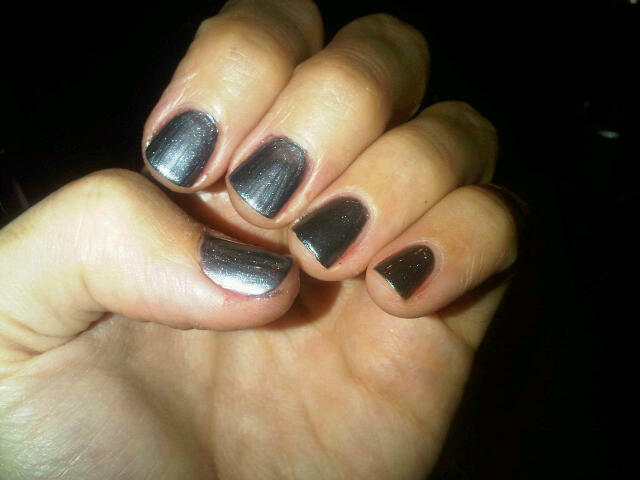 The best way I can describe it is this: mix black with silver and #907 Revlon Steel Her Heart is what you get. Have any of you picked up Fall/Winter nail polishes yet? If so, what are they and how do you plan on wearing them?